Replacing Mustang alternator or other charging system parts is one of the easier projects that you can do on your pony car. Before we cover the procedure to replace the alternator, you first need to determine if, in fact you really need a new one. Before we learn how about repairing or replacing Mustang alternator components, its important to make sure you actually have an alternator problem and not some other issue. Hard starting or slow turning of the starter, when you turn the ignition key can be a symptom of a bad alternator, but it can also simply be the result of a dead or old battery. Since neither of these parts are cheap, its important to make sure you find out whats wrong first. If you don't have testing equipment,the simplest plan is to either take your car to the local mechanic shop and have the battery load tested. If your Mustang isn't mobile, then have a friend take you and your battery to the local parts store and have them test it. If the battery tests ok and still doesn't hold a charge, then it may be time to replace your alternator. Another symptom of a dying or dead alternator is that the car actually slows down when you turn on power sapping accessories, like your 3,000 watt subwoofer or the air conditioning. Many times, the problem is as simple as replacing Mustang alternator parts like the voltage regulator, rather than the alternator itself. Not only could this correct the problem, its a whole lot cheaper than buying a new or remanufactured alternator. Older Mustangs have a separate voltage regulator, mounted in the engine compartment, while later models have an integral voltage regulator, which means its attached to your starter. So for classic Mustangs up to late 1980's cars, if you don't have your own testing equipment, we need to get the part removed and take it down to either the local parts store, or your friendly neighborhood starter and alternator repair shop. Whether you decide to buy an alternator from them or on the web, don't feel bad having them test it for you. No one says you have to buy the most expensive part out there because they try to make you feel obligated. If your alternator tests out good, and your battery tests out good, chances are, you either have a faulty voltage regulator or problems with the wiring. Classic Mustangs, and really any Mustang alternator without a serpentine belt are easy to remove and replace. Simply remove the electrical connector, loosen and remove the bolts that hold the alternator to the engine bracket and the pivot adjustment bolt and its off. Replacement is just the reverse of the procedure. To make sure that the belt is tight enough, carefully use a pry bar to put tension on the alternator and belt and tighten it. Too much tension can ruin the bearings in a short time, so generally when you can see no more then 1/2 inch of flex in the tight belt its good to go. 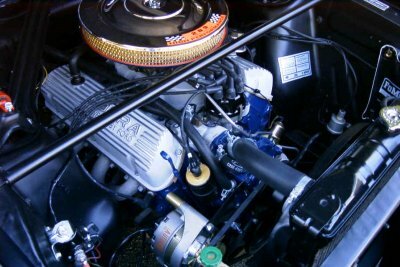 Later model Mustangs with a serpentine belt require you to use a socket and wrench on the tensioner to remove the tension and allow you to remove the belt. After that it's a quick job to remove the alternator. The tensioner automatically sets the tension, so once you've finished replacing Mustang alternator components you're all set.